For businesses that run on Cisco blade and rack servers, and want to extend their reach with desktop virtualization using the latest high-performance graphics, the wait is over. NVIDIA GRID 2.0 with the NVIDIA Tesla M60 GPU accelerator is now supported on the Cisco UCS C240 M4 rack server. And, in a first for GRID-based Cisco blades, Cisco is supporting NVIDIA GRID 2.0 with the NVIDIA Tesla M6 on its UCS B200 M4 blade server. These combinations bring unparalleled graphics performance to high-end applications on any device, anywhere. Organizations can expand their virtualization footprint without compromising performance, user experience or security. They can boost employee productivity with faster access to files and real-time collaboration. And they can centralize IT, so all workloads can be managed and delivered from the data center. 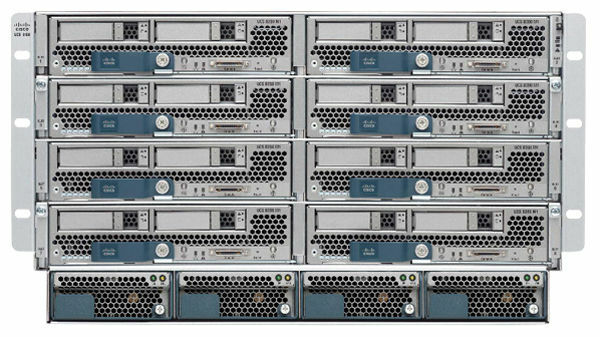 The Cisco UCS B200 M4 blade server is one of the newest in the Cisco UCS portfolio. It delivers enterprise-class performance, flexibility and optimization for data centers and remote sites. It also offers excellent virtual desktop density per blade and ease of management, making for an attractive total cost of ownership. Key to the Cisco blade’s popularity is its predictable and scalable performance for virtual desktop users. Cisco and NVIDIA have created an unmatched level of integration between the UCS B200 M4 and Tesla M6 card. The card can be discovered and managed via Cisco UCS Manager for administration through a single pane of glass. NVIDIA GRID on Cisco blade servers opens new opportunities in industries such as manufacturing, oil and gas, and design, where businesses using applications from the likes of ESRI, AutoCAD, Petrel or Siemens want the flexibility to work from anywhere but require the same high-end application performance on a virtual desktop as they do on a physical one. By bringing graphics acceleration to virtualization, NVIDIA GRID unlocks the promise of productivity, mobility, security and flexibility for every user. NVIDIA GRID technology on Cisco blade servers pushes desktop virtualization to the edge.